In the Filter by… drop down at the top right of your transactions you’ll want to select Affiliate, then enter the affiliate ID of who you want to see the referred customers/transactions for. 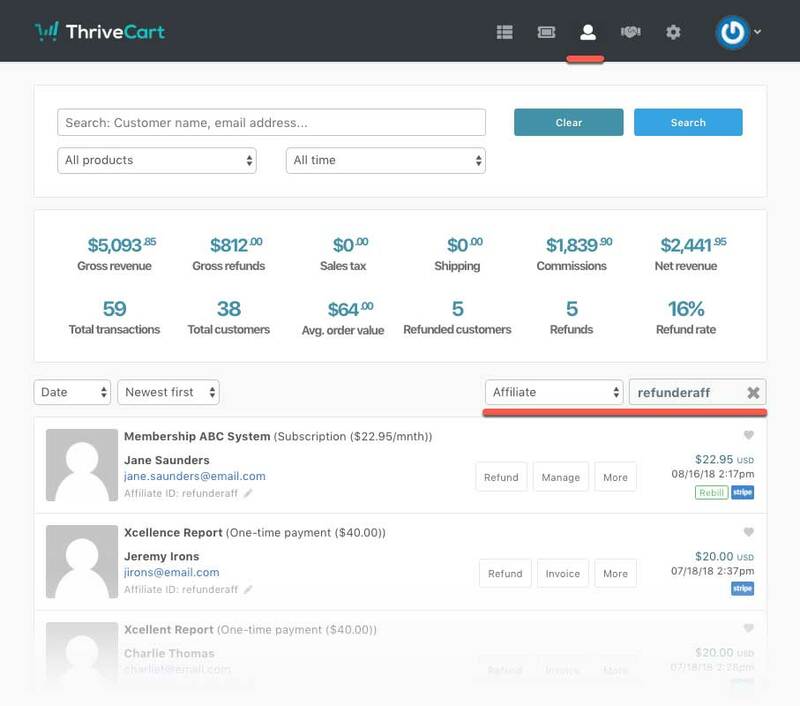 Once selected, you’ll be able to view all their referred customers, but also see statistics on the gross revenue they’ve earned and how much commission they have earned in a quick overview. At the bottom left of this page, you can download a CSV spreadsheet of all this data too. 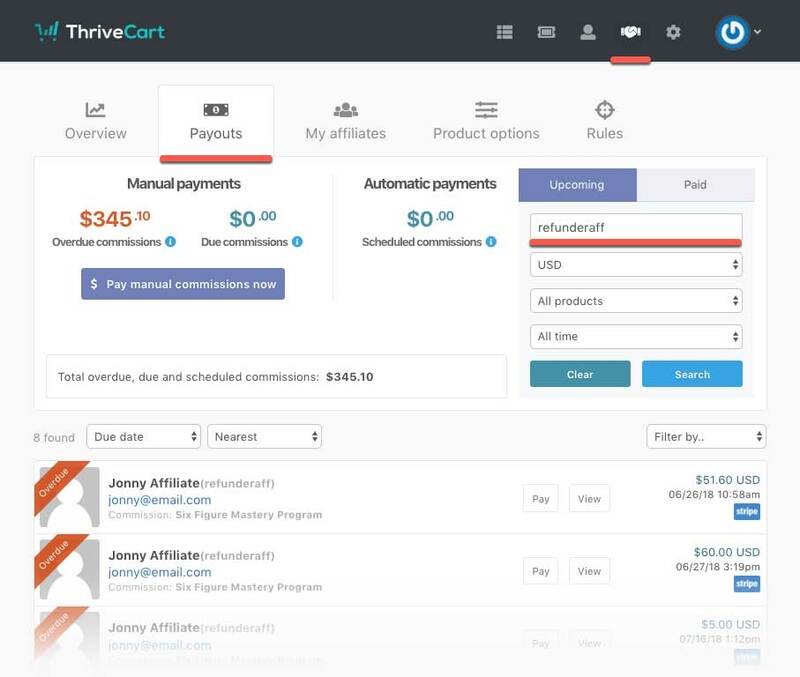 If you’re looking for more specific information such as what commissions have been paid to the affiliate or which are coming up, you can do this from your Affiliates > Payouts area. You can view upcoming commissions and paid commissions. By filtering your commission results this way, you can see what payments have been made or are still outstanding for specific affiliates promoting your products. If you have any questions about any of this, please contact the support team directly and we’ll be more than happy to help answer any questions.